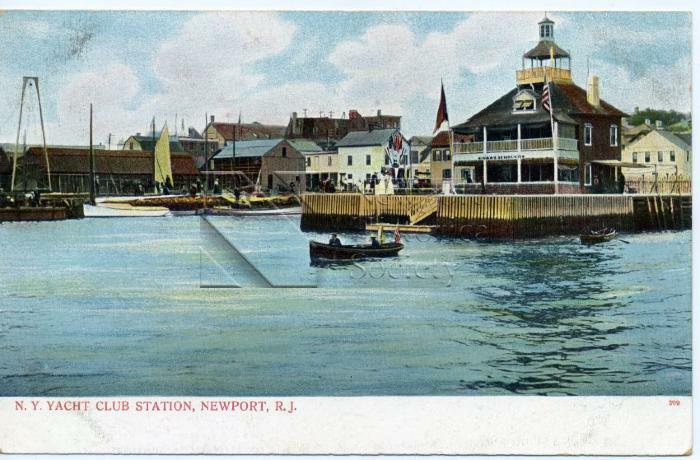 A color postcard depicting New York Yacht Club's Station 6, located on Newport Harbor. Neighboring wharves and buildings are visible at left. Reverse has printed text reading: "This side for address only. ".